Saturday 29th March marks a significant event in the history of the Church, Christianity and human spiritual understanding. The Keralan priest, Fr Canisius Thekkekara CMI, will be declared a ‘Servant of God’ by Mar Pauly Kannookadan, Bishop of Irinjalakuda in St. Teresa’s Monastery Church, Ampazhakkad as advised by Pope Francis earlier this month. Why is this so important? Well, as the second Indian Carmelite of Mary Immaculate to be declared a ‘servant of God’ – the first step on the road to canonisation (the other is Blessed Kuriakose Elias Chavara) – the event illustrates how the spiritual axis of the world is now slowly moving away from Europe. The election of Pope Francis himself was but one dramatic manifestation of this, the slow raising to the altars of these devout Christians from India is another. Earlier this year I was honoured and privileged to give the memorial lectures at Bangalore founded in honour of Fr Canisius. I was touched by all the many stories of kindness and humility that this Servant of God had inspired. Accordingly I am sharing below an account of the life Fr Canisius from Fr Jose Nandhikkara CMI, Dean of Philosophy at Christ University, Bangalore who has kindly given his permission for me to post it here. I also share his photograph I took as I visited one of the Buddhist monasteries of Bangalore on my visit. The account will form the preface to my lectures which will be published as ‘Picturing the Soul: Revisioning Psychotherapy and Spiritual Direction’ by Dharmaram Publications, Bangalore and publicly launched at the ceremony tomorrow. Fr. Canisius Thekkekara – Pray for Us! 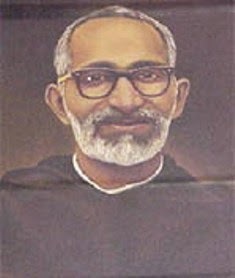 Rev Fr Canisius Thekkekara CMI, the first Indian to have the degree of Doctor in Sacred Scripture (DSS) from the prestigious Biblical Institute, Rome in 1952, was a committed religious who led a Christ Centred life in the service of the Word of God in the Church for the Glory of God and well being of all. With unparalleled devotion and dedication, he served the CMI congregation and Church at large as Professor of Sacred Scripture and Spiritual Father at Sacred Heart Seminary Chethipuzha (1953-57), Professor of Sacred Scripture and Spiritual Father at Dharmaram College Bangalore (1957-60), Rector of Dharmaram College for two terms (1960-1966), CMI Prior General (1966-1972) and Provincial of Devamatha Province (1972-1975), Superior of Dharmaram College (1975-1978) and Vicar General of the CMI Congregation (1978-1982). All through his life Fr Canisius was convinced of the fundamental principle that one should lead a life according to the Will of God expressed through the legitimate superiors. His motto was always: “God’s Will: All of That and That alone!” and he lived this ideal wholeheartedly and faithfully. This humble and noble religious could give this testament in My Life Experience (Ente Jeevithanaubhavangal): “As all the decisions pertaining to my higher studies and appointments to several posts of authority were all fully in God’s will for me, so insignificant and weak as I am, I approached the Lord in person and in all confidence for some solace and inner strength, without wavering amidst the vagaries of life situations. As I kept on experiencing His faithfulness in His promises, I had the good fortune to grow in personal relationship with him.” Fr Canisius who taught Pauline Writings has mastered not only the scholarship in Pauline theology but also St Paul’s ideal: “I can do all things through him who strengthens me” (Philippians 4.13). As early as a boy, before starting his High School studies, Ouseph had the longing to become a priest and had his state of life chosen with clear vision and firm conviction. As per the account of his sister, Rev. Sr. Sarseela F.C.C. young Ouseph once experienced the apparition of the Mother of Carmel holding a scapular in her hand, while he was praying for discernment of his vocation. He felt then in his heart a strong inner attraction for the CMI Congregation. Without any hesitation he uttered his fiat to the divine will and told his parents: “I want to become a priest, and I want to become a religious priest in the Carmelite Order.” He joined the CMI congregation as an Aspirant at Pavaratty. After the Novitiate at Ampazhakkad he made his First Profession on 24 November 1935. He was given the name Canisius of St. Theresa. He completed his philosophical and theological studies at St. Joseph’s Seminary, Mangalore, and was ordained a Priest on 21 December 1942. After the Priestly Ordination, Fr. Canisius took his Doctor of Divinity degree at Kandy, Sri Lanka in 1945 and in 1952 he secured D.S.S. (Doctor in Sacred Scripture) from the Biblical Institute in Rome. His doctoral thesis was Cardinal Seripando: an Exegete and Biblical Theologian. Thus he became the first ever Indian and second Asian who was awarded with doctorate in Sacred Scripture. Fr. Canisius has authored a few books, rich in content and theological insights and a four volume short biographical sketches on Blessed Kuriakose Elias Chavara and prayer books. 4. In the Service of the Word of God: His entry into the official life was as a Professor of Sacred Scripture and Spiritual Director. He loved teaching the Word of God and as a teacher he was held in high esteem and respect in the Sacred Heart seminary at Chethipuzha and Dharmaram College, Bangalore. Even after his retirement he taught Bible with zeal and devotion in private and semi-official institutions. Above all, the Holy Bible became invariable part of his life. His exhortations, speeches and conversations were all ‘Word based.’ He was devoted to the Word of God and committed himself in the service of the Word of God until he breathed his last. 5. Apostolate of Administration: Rev. Fr. Canisius, though considered himself not an able leader or administrator, was elected to and entrusted with many administrative posts in the CMI Congregation. His services as Seminary Rector (1960-1966), Prior General (1966-1972), Provincial (1972-1975), Dharmaram Superior (1975-1978), CMI Vicar General (1978-1981) were glorious and praiseworthy. He devoted himself for the renewal and adaptation of the CMI congregation after the charism of the founding fathers in the light of the II Vatican Council. He was successful in guiding the congregation and to make it relevant in its life and ministries for the Glory of God and the well being of all. 6. Apostolic Delegate: Recognising the effective religious leadership of Fr Canisius, he was appointed as the Apostolic Delegate in 1972 to the Society of Catholic Medical Mission (MMS) sisters and in 1974 as Delegate of the Oriental Congregation to the Congregation of Sacred Heart. Relying on divine assistance, Fr Canisius could help both congregations in their growth and development. He took great pains to visit all the convents of sisters, discussed the issues with them and submitted reports with suggestions for their growth. In 1978, he was elected to the post of the Vicar General of the Congregation. After three years as Vicar General, Rev Fr Thomas Aykara CMI, the then Prior General, granted permission for Fr Canisius to spend time in prayer and recollection at the newly established Sakshatkara, Centre for Spiritual Realisation at Pariyaram, Chalakudy. Fr Canisius was deeply involved in the vision, mission and establishment of this Centre. From 1981-1996, Fr Canisius spend time in prayer, preaching retreats, and in giving spiritual guidance. Besides his Eucharistic Celebration, Canonical prayers and other spiritual exercises required by the CMI constitution, he spent at least five hours in silent prayer daily before the Blessed Sacrament, during those fifteen years. Besides ailments typical of age, since 1984 he suffered from rheumatoid arthritis. As the pain of the disease grew excruciating, to make matters worse, he caught Spondylitis as well. 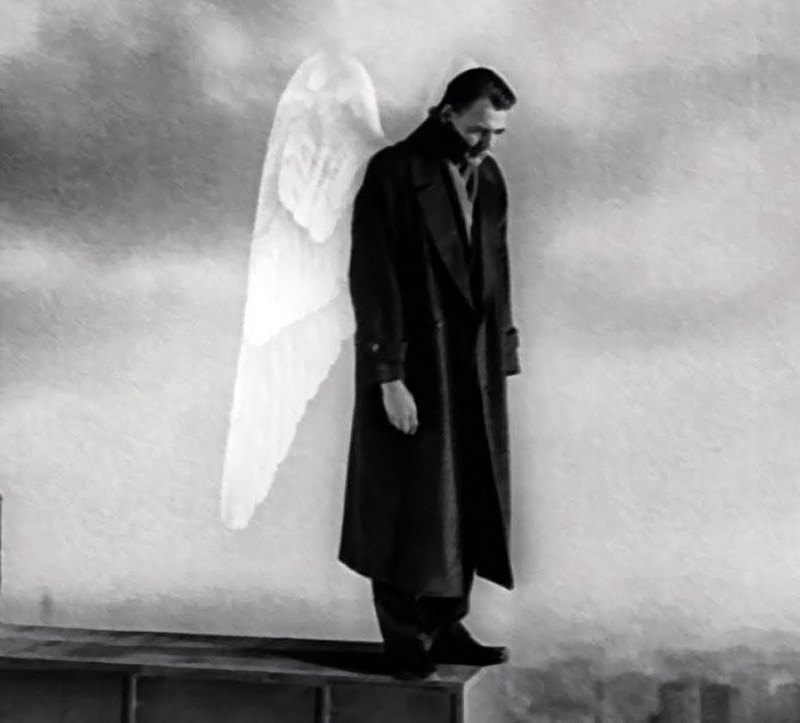 Consequently he was unable to walk, sit, eat, write and even bathe on his own. He was transferred to St Theresa’s Monastery, Ampazhakad, in 1996. During the last days of his life at Amala Hospital, sisters frequently visited him, and according to his desire they used to sing “come, come Lord Jesus”. Even on the last evening of his life on earth the sisters sang that song in the company of Fr. Canisius. Later he told to one of his spiritual sons: “The time has come for my departure; my end has come.” On 29 January, 1998 he moved his residence to the heavenly mansion prepared for him by his Master, Jesus the Lord in His Father’s house. Fr. Canisius is known for his simple life and consideration and care for the poor. He wrote: “It engenders in me sympathy and concern beyond measure to see brethren put to various sufferings. What I would immediately do then is to offer them to the Divine Lord and persistently pray to Him to give a hand with their problems. But I must confess that I do not possess the necessary knack, ingenuity and the divine charism to make me rush to their help by giving them solace and counselling…It is not my presence that is essential to them, but the presence of the divine Master. Therefore I will compel him to bless them by his helping presence…” During his tenure of office as Prior General and Provincial he led the way in chalking out special plans and programmes for the uplift of the marginalized. Fr. Canisius used to be called ‘a praying priest’ and even the ‘personification of prayer.’ He really took great delight in prayer. Besides saying the community prayers without fail, Fr. Canisius would spend long hours in prayer before the tabernacle, especially on days when he was to officially take major and serious decisions. Prayer was for him delight, rest and duty. It was also his ministry all through his life, especially during his retired life at CSR. Fr. Canisius had prepared and delivered a detailed paper on the Governing Ministry and Prayer Life, in which he stressed the need for the superiors to become guides and models of prayer life for the community.